Kendrick Lamar, Dabrye, Oh No, Jay Dee, B.R. Gunna and more. BLAP On The Radio Debut w/!llmind, Tha S Ence, Stoni, DJ Gen.Erik. Special guest TDE&apos;s Wille B. After 3 weeks of delay courtesy of Hurricane Sandy and the after effects of the Nor’easter, BLAP On The Radio is here. The cast of !llmind, Tha S Ence, Stoni and DJ Soko (held it down on the wheels while DJ Gen.Erik is on tour) came out swinging. Talking everything Dilla, the creation of BLAP On The Radio and much more. And what a way to top it off with special guest, TDE producer Willie B of TDE and Digi+Phonics (Kendrick Lamar, SchoolBoy Q, Ab-Soul, Jay Rock, Wale etc.). Hit the play button on the stream below. 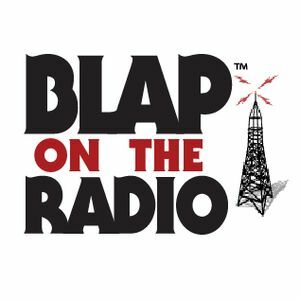 BLAP On The Radio can be heard live every Friday 10pm-12am EST on GIDRadio.com.